We stop here EVERY TIME we're in the area! Still the best Thai around. Average or maybe just above average ! The food here is great, but on a busy Saturday evening the service was not great. Seemed as if there were too few staff working for the level of business. 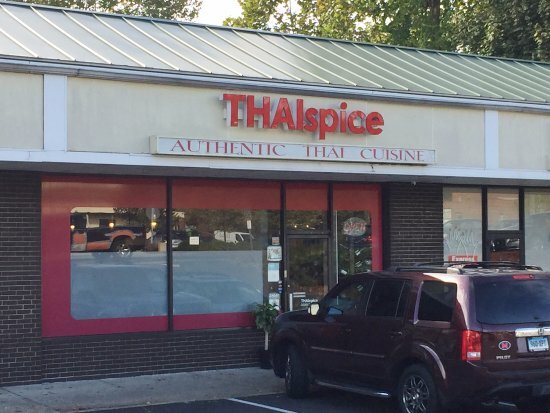 Thai Spice is a very good restaurant that should be considered for your next visit to Norwalk. It is close to the Even IHG Property. Quiet, with a steady stream of customers, it is an excellent value. my to go place for large bowl of tom yum soup! Delicious and fresh and the broth is outstanding! service is attentive and on point. I have tried the basil chicken and beef, chicken larb and it was very good as well! Get quick answers from Thai Spice staff and past visitors.